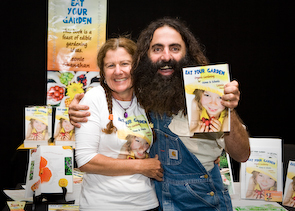 We have set up successful edible school garden programs in over 2 dozen schools, mainly primary aged students, on the Sunshine coast (Queensland). Programs generally run for 12 months either once a week or once a fortnight. Teachers are empowered with the information on how to use the garden and eventually take over the project. From my experience over the past decade at dozens of schools and speaking with schools I've worked with, I believe that the ideal situation is to run the Edible School Gardens program for a 12 month period, either one day a week or one day a fortnight. In 12 months you can work with all seasons, record all the information about planting, caring for plants, harvesting, seed saving, propagating, composting, worm farms and green manure crops, keep a journal and create reference folders so the information is all there for the teachers, parents, grandparents and students to empower them with knowledge and confidence so that they too will become part of the program and use the garden as a living classroom. Implemented the Edible School Gardens program in 20 schools to date (Dec 2011) with more booked, some schools attended more than once. 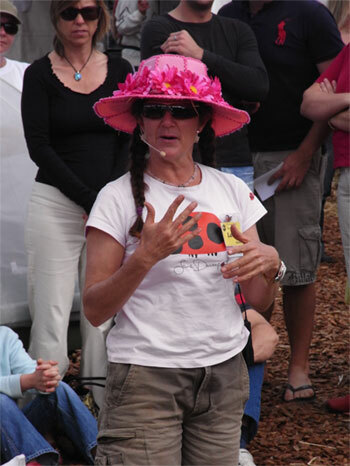 • Presenter at APC10 permaculture conference in Cairns. School Gardens Education day for teachers. 2006-08 Qld Home Garden Expo (annual event) part of the team that put together the Permaculture and Giant Kitchen display gardens and work shop programs. June 08 World Environment Day Sunshine Coast University workshops of No Dig Gardens. May 2008 Teacher training Siena Catholic College. April 2008 Presenter and Workshops at Outdoor learning and school Gardens Seminar/Future Ready Expo. July 2007 Noosa Beyond 2010 lecture of Permaculture and Edible gardens. March 2007 Workshop Presenter Australian National Community Gardens, City Farms and School conference Melbourne 2007.